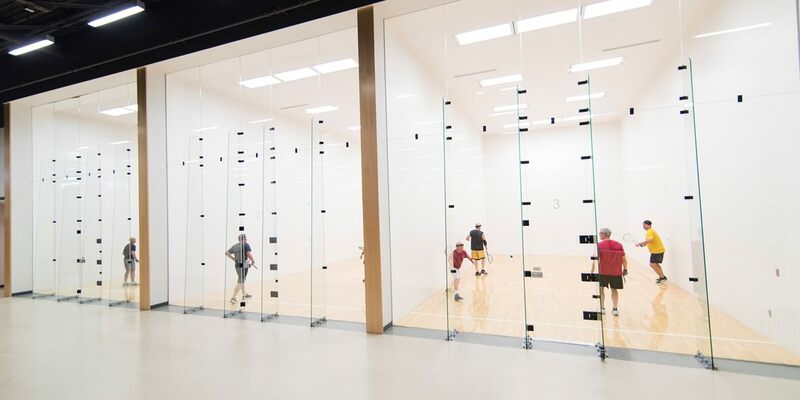 To make reservations for gymnasium or racquetball courts, call the Fitness Center Welcome Desk at 712-707-7230 or stop by the desk, located inside the DeWitt Fitness Center. Members may make court reservations a maximum of 14 days in advance; advance reservations are limited to 2 per week. Members may make “day of” reservations every day of the week. Court reservations are limited to 1 per one-hour time slot. The availability of courts is subject to change without prior notice due to unforeseen circumstances, including—but not limited to—maintenance, weather requiring outdoor intramural activities to be moved indoors, or weather requiring athletic teams to practice indoors.